Home » slider » Good slashing is easy when you know how! Good slashing is easy when you know how! The final touch to your dough just prior to entering the oven is one of those moments that gives the inexperienced home baker performance anxiety. Understandable really, since many a nice loaf has been made to appear pretty average on account of the slashes. Slashing is a bit like engraving or Japanese ink art on silk. Once you’ve executed it you can’t change it. It’s there for everyone to see, good, bad or ugly! There’s no fixing it, you just have to live with it. Why do we need to slash the dough anyway? Surely if it causes so much angst and is easy to mess up why not just forget about it. The answer lies in the fact that good quality sourdough will inevitably expand in the oven during the early baking stage. This expansion needs to be controlled and slashing allows us to control where the expansion occurs. 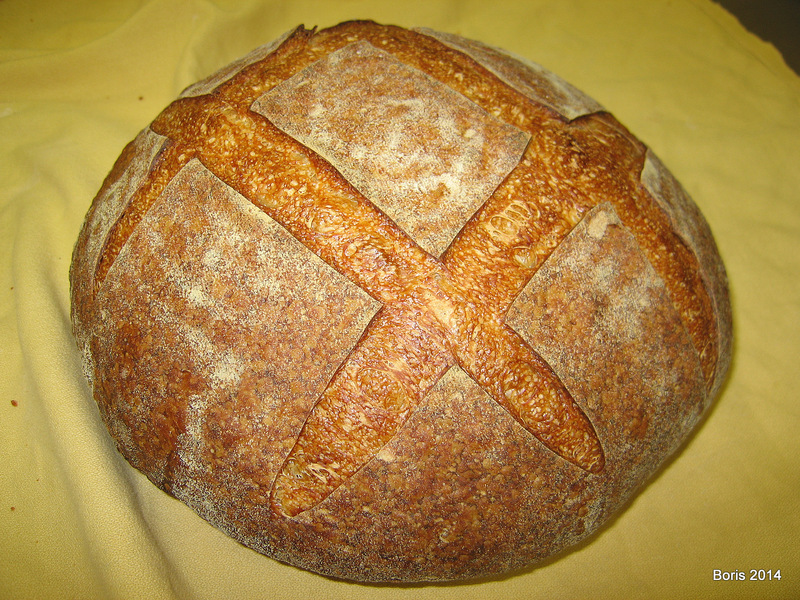 If we didn’t slash, the dough would crack and distort which makes for ugly bread. Even the uninitiated who may not know why recognise that it just doesn’t look right. There are times when we want the dough to crack in the oven and use it to our advantage but that’s for another post. 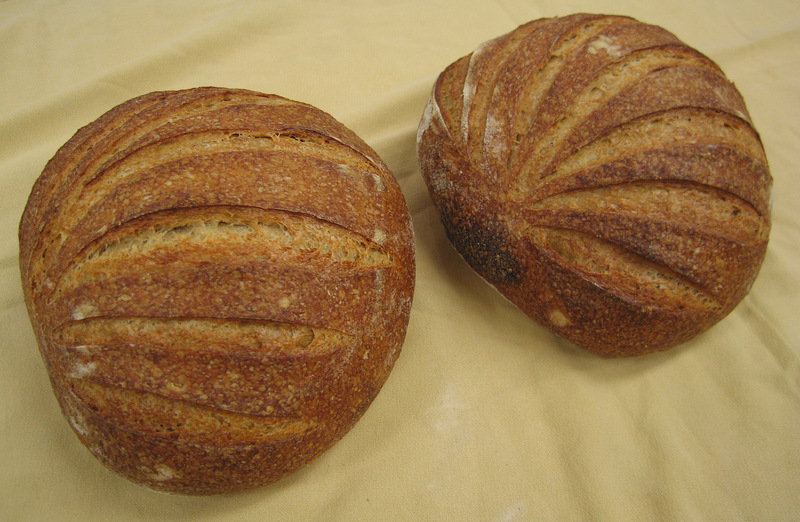 Further, expansion is exactly what we want in most cases, since this expansion has a profound positive influence on bread volume, crumb texture and of course mouthfeel of the bread. 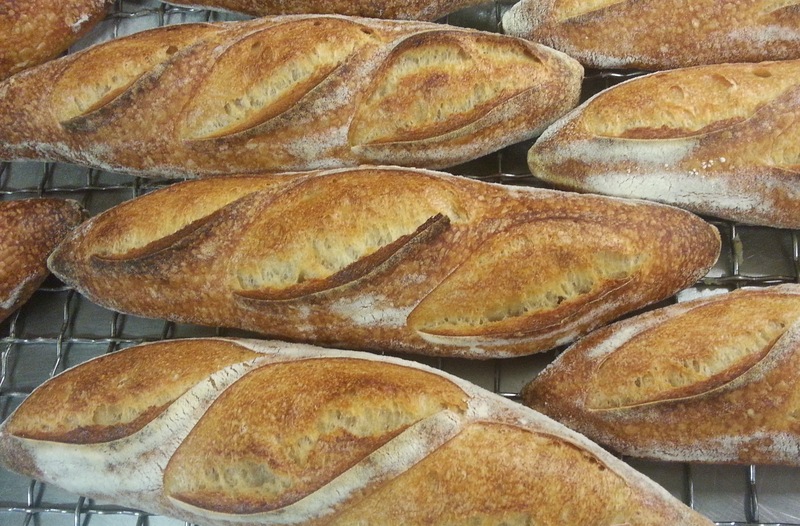 So what is the secret to making your slashes look as good as your bread tastes? Here are few things to help you improve your slashing techniques. Firstly, it helps if you have the right tool. Although sharp knives will do, I believe a lame fitted with a sharp razor blade will make a big difference. Alternatively a scalpel is sharp, easy to get from a chemist and will last a life time, like the lame pictured, it has interchangeable blades. Of course lames are easy to make if you don’t want to buy one and in fact that’s what I did. A thin strip of stainless steel that can neatly fit into the gaps of double sided razor blades is just the ticket. File down one edge so its width is a little narrower and a blade can be easily ‘threaded’ through the gap either end of the blade. The end filed to take the blade should have a moderate curve. This will mean the blade will be curved once it’s threaded to the handle. See the picture below. Second thing is that we don’t use the word ‘slash’ for no reason. It’s executed quickly so we really are slashing! 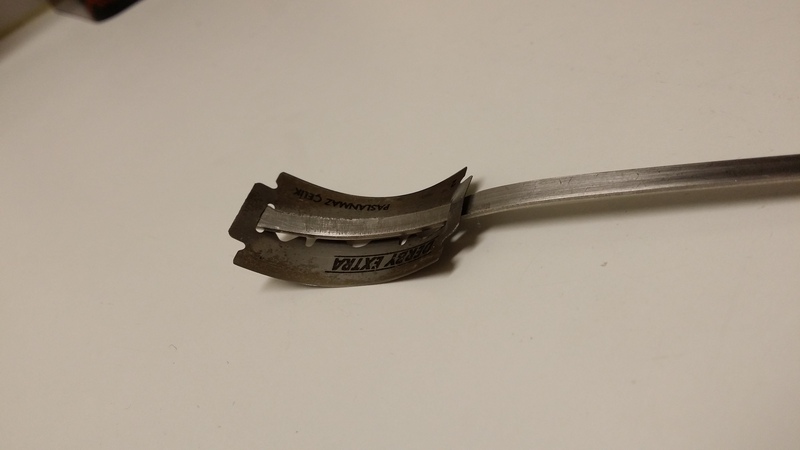 This helps reduce the dough holding or sticking to the blade preventing the soft dough distorting or tearing. Another subtlety is that almost no downward pressure is used. Let the blade do the cutting, not the force of your hand. Thirdly, slash at the correct angle. This means placing the beginning and ending of the slash in the right place relative to the top and sides of the dough piece. 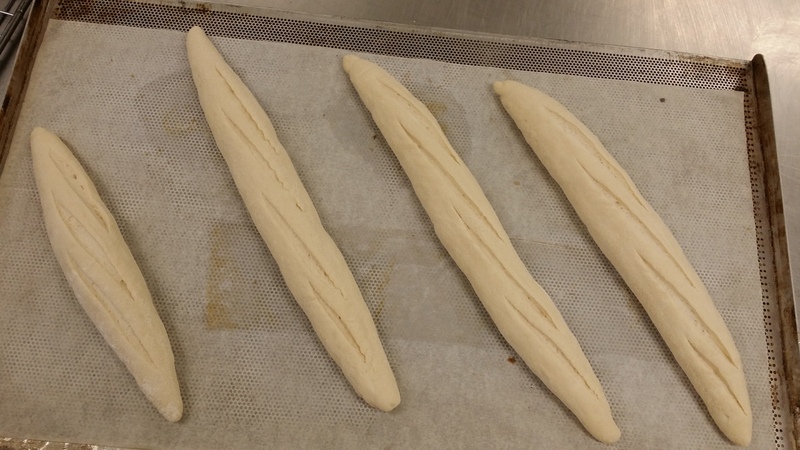 For instance when slashing a baguette a 45° angle relative to the side of the dough is too steep. The slash will not open sufficiently to prevent distortion, and will fail to achieve a pleasing appearance. Slashes need to be almost less than 20° to create the result we are looking for. See below in the photo and the diagram. 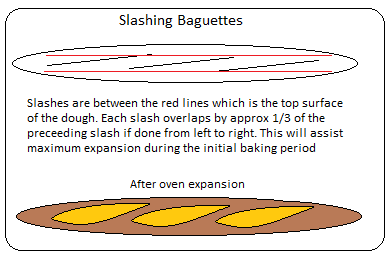 It goes without saying that slashes should be in proportion to the dough size and to each other if indeed you intend to have more than one. The depth of the slashes should be just deep enough to get the best out of the dough expansion during the initial baking. This will also depend on how mature your dough is and how much ‘ovenspring’ you expect to gain (ovenspring is what we call dough expansion during the initial baking period – as the dough warms the leavening organisms accelerate gas production). The general rule is that we want enough during final proof, but not so much that there is little or no expansion in the oven. 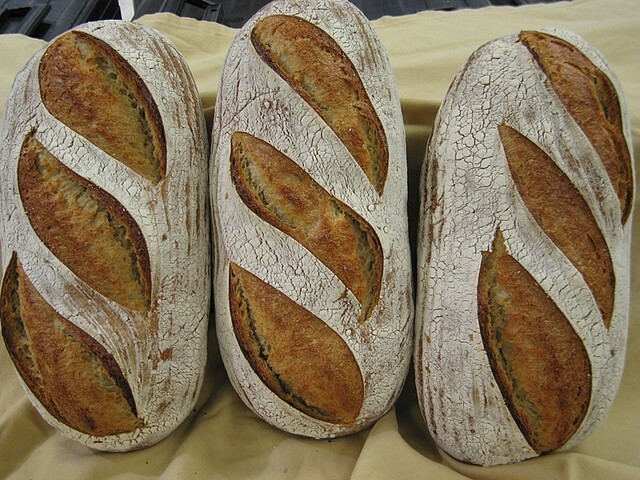 Of course there are lots of ways to slash different shaped loaves for different aesthetics and or for the quality of the crust formation. There really are many ways to achieve good expansion with a beautiful appearance. 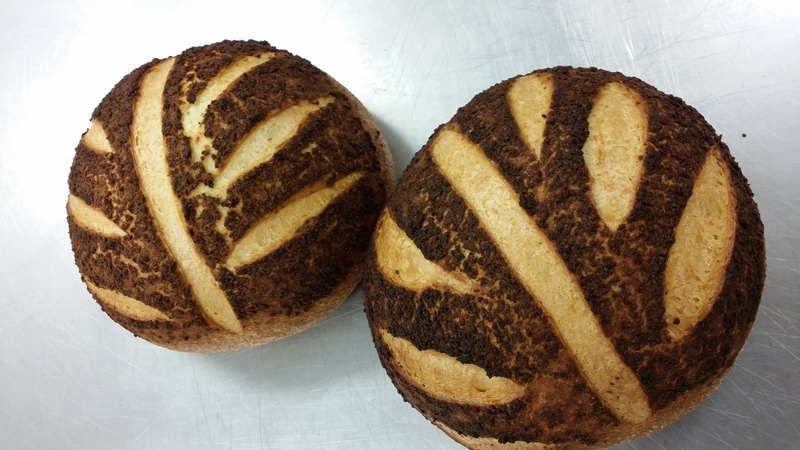 You can be creative to make your mark on your own bread. Just one more important thing: when using a lame, use just the leading edge of the blade, it helps if you raise your elbow. This changes the angle of attack of the blade and avoids the dough catching on the blunt inside end closest to your hand. Nothing worse than having a great dough that you’ve moulded perfectly and you screw up with the lame catching on the blunt end, tearing the dough and spoiling it. Good luck and don’t fret over the slashes, practice with a pen and paper to get the angles and lengths right before you ‘paint’ your next canvas!